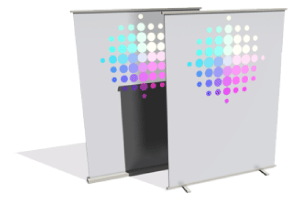 Two integrated feet stabilise this product to double your standing with a Comfort roll-up banner. Suitable for use indoors or in a roofed-over outdoor area. For example, at trade fairs or conferences. Wherever you want to deliver a message or information, count on it to stand tall. 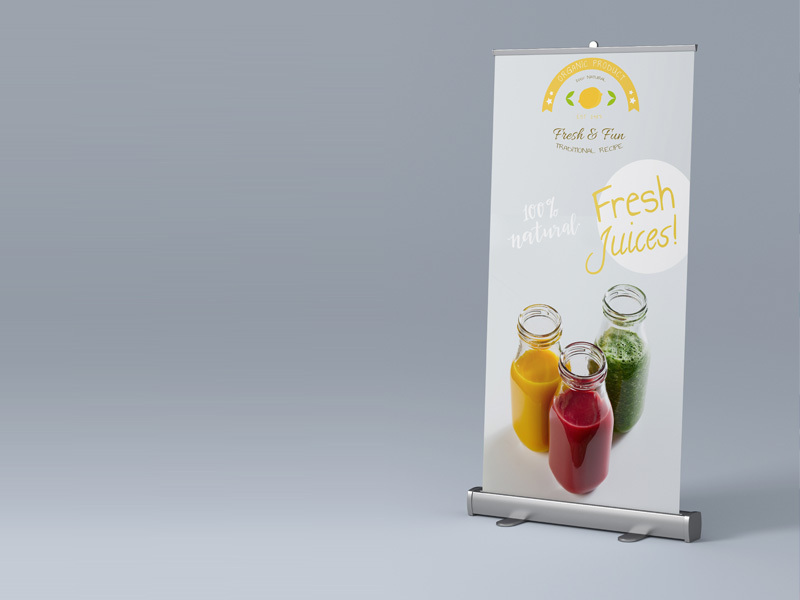 Our Comfort Plus roller banners combine the classic advantages of our Classic roller banners with a few more bells and whistles for taking your presentation to the next level. And we mean every time that you want to comfortably roll out all your experience, capabilities or services in seconds. 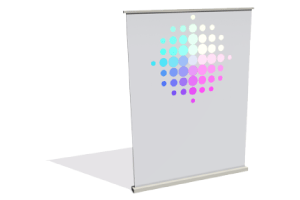 To make our Comfort Plus roller banners, we print a rectangle of white 0.2mm-thick banner foil measuring 84.5 x 200cm. Despite its light weight, this foil is absolutely opaque and extremely tear-proof. 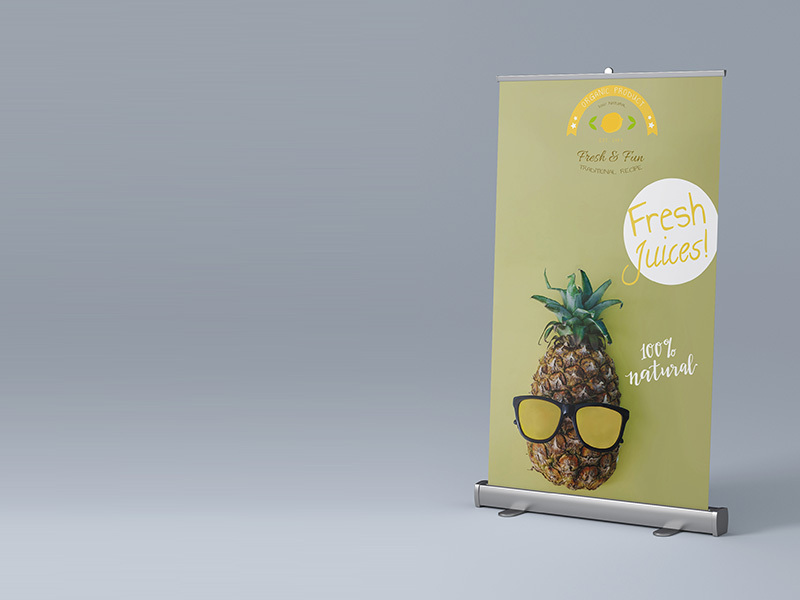 Product benefits, services, principles, pictures, drawings, tables, logos, signets, coats of arms – the list of things we could print in full colour on one side of your Comfort Plus roller banner is virtually endless. You order, we print. Based on your designs and specifications, which you insert in our easy-to-use downloadable template with clearly designated printing areas. 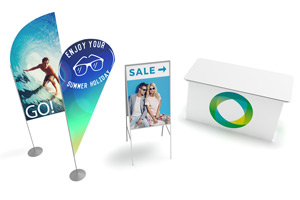 Like our Classic roller banner, the spring-loaded Comfort Plus model also rolls out and up automatically. After each use you then conveniently pack your presentation away in its sturdy aluminium casing. One improvement on the Classic version is a second pull-out foot that gives the banner greater stability. 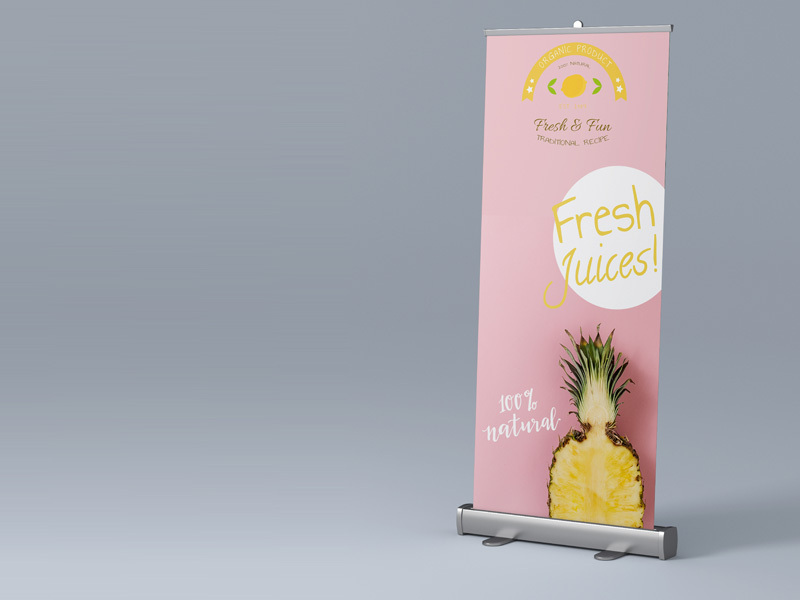 We’ll print 1, 2, 3, 4, 5, 6, 7, 8, 9 or 10 roller banners for you and deliver them within six to eight working days with our Standard service or within four to six working days with our Express service – always at no extra charge and including a robust carry-bag. We go out of our way to ensure your complete satisfaction. And if – and that’s a big if – we fail to live up to your expectations, you get your money back on a first order. 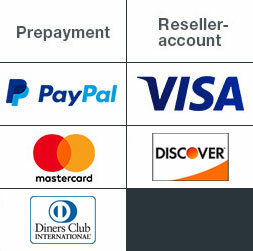 On subsequent purchases, we’ll make sure to resolve any issues as comfortably as possible for you.